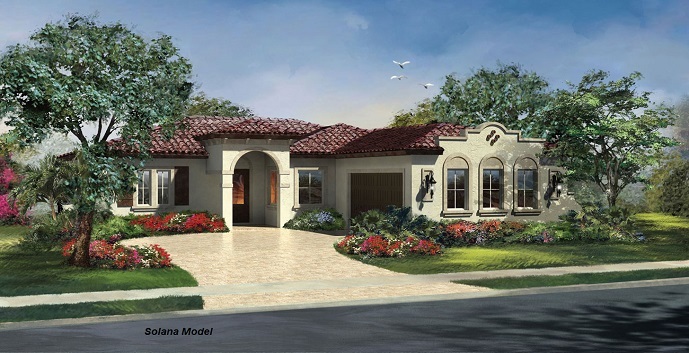 Solana - 1 story, 3 bedrooms, 2.5 baths, 3050 total square feet. Top features include a gourmet kitchen with granite countertops, casual dining area, great room, private study, covered patio, brick paver driveways, a 2 car garage, and an optional swimming pool. 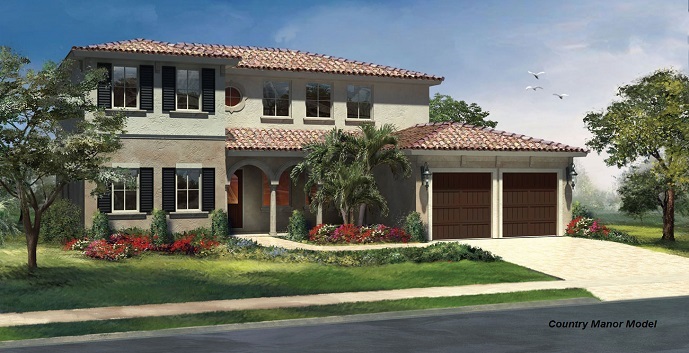 Summerlyne - 1 story, 4 bedrooms, 3 baths, 3438 total square feet. Top features include a gourmet kitchen with granite countertops, casual dining area, formal dining room, great room, covered patio, brick paver driveways, a 2 car garage, and an optional swimming pool. Country Manor - 2 story, 5 bedrooms, 3.5 baths, 3712 square feet. Top features include a gourmet kitchen with granite countertops, casual dining area, formal dining area, family room, second floor master suite, a private study/loft area, covered patio, brick paver driveways, a 2 car garage, and an optional swimming pool. 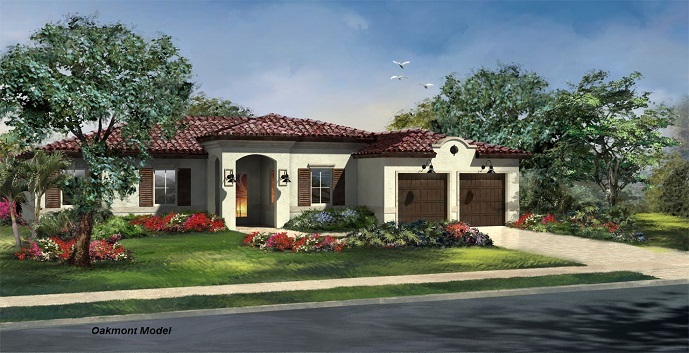 Oakmont - 1 story, 3 bedrooms, 2.5 baths, 3075 total square feet. 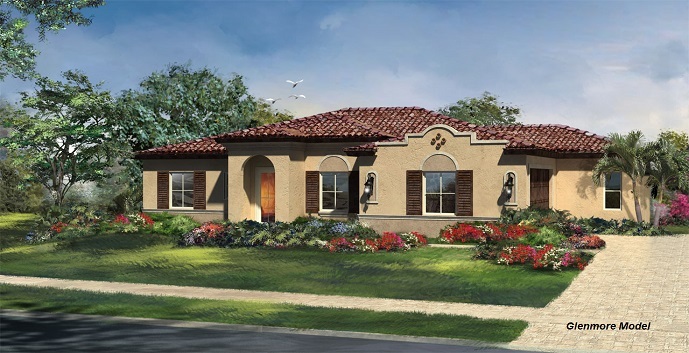 Top features include a gourmet kitchen, casual dining area, formal dining area, great room, private study, a covered lanai, a 2 car garage, and an optional swimming pool. Glenmore - 1 story, 4 bedrooms, 3 baths, 3316 total square feet. Top features include gourmet kitchen, casual dining area, formal dining room, great room, private study, a covered lanai, a 2 car garage, and an optional swimming pool.